Note from LeftEast editors: This article is published in collaboration with the regional portal Bilten. Slogans about the “knowledge economy”, “innovation”, “entrepreneurship”, “creativity”, and the “post-industrial” and “information” society are widespread in the EU, and Bulgaria makes no exception. Information technologies are posed as the universal solution to all social ills, a panaceia able to fix everything from lack of economic growth, consumption deficits and ineffective public services to election frauds and corruption. Throughout the last decade, Bulgarian governments of all stripes have used these ideological catch-phrases to back outsourced information technologies (IT) and support companies. The IT sector, however, is neither as profitable as claimed, nor does it employ such a significant portion of the labour force. Thus, all the protectionist measures and the pro-active governmental interventions aimed to aid the outsourced “knowledge” industries could not be justified in democratic terms. What is more, governments and neoliberal “experts” attack regulation, “protectionism” and governmental interventions in the economy, but rely on the government when it comes to funding IT and support firms. The EU Digital Agenda for Europe of November 2014 is framed in relation to the EC’s StartUpEurope plan which is supposed to ease intervention in the “business environment for web and ICT entrepreneurs.” The measures in the agenda address mostly consumption and payment methods. The agenda also deals with the so-called lack of highly skilled ICT specialists suggesting the forging of proper ICT trainings and certification. The apocalyptic prognosis of the EC is that by 2020 there would be 900 000 ICT experts needed. This is why an EU-wide Grand Coalition for Digital Jobs was created together with national digital alliances. In Bulgaria this alliance (called DNA) featured the government, universities from all over the country, corporations like Google, HP and Microsoft, transnational mobile telecommunication companies, and local IT companies, but excluded trade unions and consumer organisations. To counter the projected shortage of IT expertise, in 2014 the Bulgarian Ministry of Education and Science prepared a strategy for the 2014-2020 period that entails external evaluation of high school students’ “digital competences” and the “certification of their IT skills.” All this would supposedly increase “the Bulgarian education competitiveness” and also tackle a “variety of demographic problems” as students outside of the capital would have online access to “qualified instructors” without changing their place of residence. Business elites in Bulgaria have also praised the awaited e-economy, and claim to be ready to seize any opportunity, even Brexit. Ivaylo Slavov, the CEO of the IT company Bulpros, stated that after the British referendum British companies would have to seek cheaper labour and will outsource some of their enterprises to Sofia. Plamen Tsekov, CEO of Scale Focus, a Bulgarian-based IT company, referring to the alleged deficit of highly qualified labour, held that Brexit would lead to “the return of our talents” from the UK. Both the outsourcing of enterprises to Bulgaria and the ‘return’ of Bulgarian IT specialists is good news to business as it means lowering labour costs. Governmental and non-governmental organisations constantly complain of the lack of qualified workers, but this “lack” seems exaggerated. Most of the jobs in the sector are in fact either related to online support or involve simple programing skills that can be easily acquired in short-term trainings. Nevertheless,IT companies, driven by their desire to increase labour supply, managed to lobby the easing of import of non-EU IT workers, a move that was strongly opposed by trade unions. Even though software companies like Telerik (which will soon have 1000 workers) are growing, there is only one IT company in the top 10 of the biggest employers in the country: the HP Global Delivery Center which employ close to 10 000 workers. Considering the relatively insignificant number of workers employed in the sector, liberal media hypes the high wages in the sector and the high added value IT products have. The Bulgarian Association of Software Companies announced that in 2014 the average salary in the sector was 3 510 BGN  with a national average of less than 600 BGN at the time. But are huge income disparities really something to be celebrated? The IT sector is often dubbed as part of the “real economy”, but apart from the fact that it employs a small portion of the workforce, it also does not contribute to the GDP significantly. In 2014 the highly-praised “software sector” (often producing basic smart-phone apps) amounts to less than 1.8% of the GDP. It also receives relatively small sum of foreign direct investment – in 2014 the sector received about 232 million EUR, while say extracting alone gets 724 million. The revenue of the 25 biggest software companies in Bulgaria (all of which have foreign shareholders) in 2015 amounts to 612 mln BGN, rising by 23.5% since 2014. The rise is highly concentrated, few huge companies increase revenues twice as fast as the average. The software company Telerik, recently acquired by the US-based Progress, doubled their revenue, which now makes up for 12% of the total income of all software companies. The IT companies themselves educate future workers through free short-term courses and in the end employ a small number of the graduates (about 6%). There are many independent programming schools which cooperate with IT companies. The founder of a software school claims the state is incapable of responding to the needs of the companies when providing IT education, as state-owned universities do not hire “practitioners in contemporary technologies and tools”. And indeed, the IT specialists educated in state owned universities are more than enough to fill the vacant positions in the public administration. Nevertheless, the government continues to fund the production of more and more IT workers. Despite all the classes offered by the private sector, the state owned universities keep their promises as partners within the DNA. In 2016 the Technical University in Sofia founded a third BA programme on communication and computer technology called “Software technologies”. It will get a total of 200 000 BGN additional public funding (for “capital expenditure”) for 100 students. Parts of it would be financial incentives to attract “quality cadre” as instructors. “Practitioners” from the private software academies would be commissioned to give lectures at the public university. The public-private “partnership” does not entail any funding from the private companies, but they generously offer internships to students. The university software courses are supposed to produce 30 000 IT specialists in only 10 years to compensate for the expected “deficit” of specialists of 45 000 people in the next year. Despite the frighteningly large numbers of potential vacant spots, the number of actual vacancies in the first quarter of 2016 in the IT and communications sector is 257. The strong desire for pro-IT sector educational reforms led both business representatives, government officials and the liberal press to openly attack university autonomy which is “blocking the attempts of the state and business” to prioritise funding for software departments. The slogans for the development of the “knowledge industry” seem to be calls for all the national efforts to be directed towards the increase of labour supply of highly paid workers, so labour costs could go down. Still, despite the relative economic insignificance of the IT sector, it is politically a central segment of capital, both as fitting within the wider EU ideological conjuncture, and as it seems to be supportive of the currently most loyal workforce. 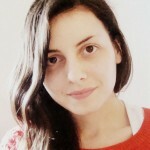 Madlen Nikolova is a Cultural Studies student. She is а founding member of social center Haspel (Sofia) and of New Left Perspectivescollective. She also writes for Hysterical Parrhesia (blog for Marxist critique of ideology). 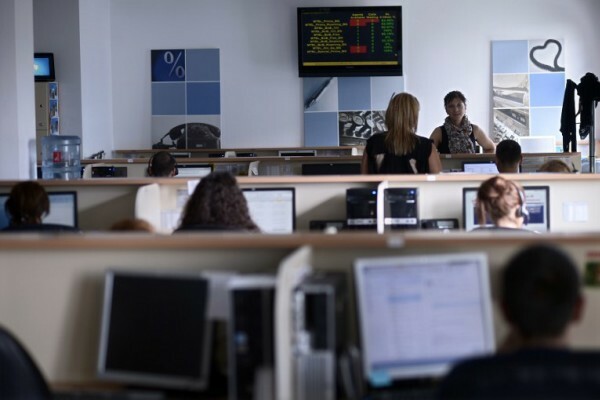 At the beginning of 2015 there are less than 38 000 workers employed in the Computer programming, consultancy and related activities sector http://www.nsi.bg/en/content/6426/employment-%E2%80%93-total. Outsourcing Exploitation to Europe’ .. The Bulgarian “creative class̶ ..